Did you know that wolves cannot cry, yelp, whimper, or exfoliate their own fur with a lubricating shampoo? Yeah. I'm not conditioning your cranium, pal. I saw it in this 78 minute movie made in 1974; Directed by: Dan Curtis; and Starring: Peter Graves, Clint Walker, with Jo Ann Pflug. Go on. You should check it out as well. You'll be howling mad not to. 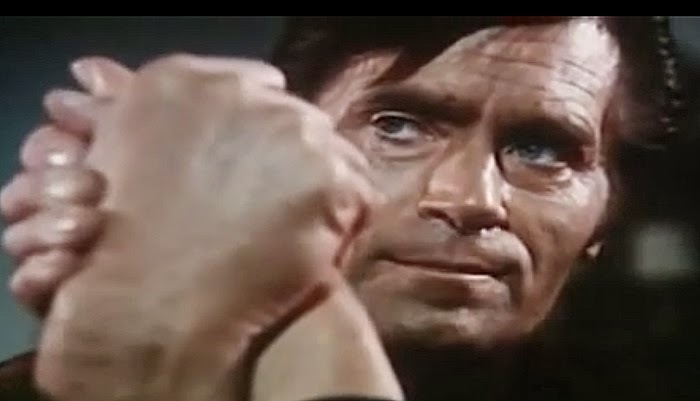 Now one of the main reasons why I've come here today, Byron (Clint Walker), is to ask you for some help with a rather peculiar problem I've been faced with. Well, as you've most probably heard in the local press, there's been a strange series of murders taken place nearby. However, the culprit of this crime isn't your normal run of the mill serial killer. I'm afraid to say that after the local authorizes called me in to investigate this matter more closely, I've deduced that the killer in question is some sort of werewolf, who is able to rip apart his victims before fading away as soon as they've committed this devilish deed. So what do you say, old pal? Will you help me track this fiend down? Come on. It'll be like old times. Me and you. Byron and John (Peter Graves). On the hunt again like we used to do all those many years ago! Huh? What's that you say, my friend? No? You won't help me? Oh well. Fair enough. But then again, that's most probably why what next transpires suddenly kicks off when my girlfriend Sandy (Jo Ann Pflug) gets attacked, prompting me to investigate this case on my own. As Byron begins to act very strange - the National Guard gets called onto the range - an arm-wresting competition settles a score - and as the moon falls over the midnight sky, a werewolf lets out a tremendous roar. 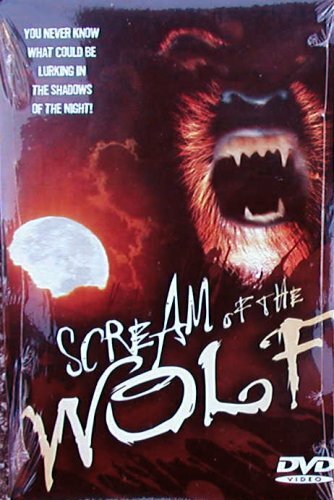 Now in my own honest opinion I'd have to say that 'Scream of the Wolf' is a fairly solid film to sit down and watch. Not only because all of the performances are reasonably unyielding throughout. But in addition to this the story-line is solidly structured in the telling, whilst being complimented by some rather straight forward camerawork and moody visual lighting. Admittedly, I know this doesn't sound like the most flattering thing I can say about this film. Having said that though, all in all I don't think I'm being nonchalant with my opinions. 'Solid' is a very appropriate word to classify this flick with. Cause in no uncertain terms that's all I can say about it really. It is a solid film with a solid story with some very solid performances. And if there was one aspect about it I thought stood out from the crowd, I'd say that would have to be Clint Walkers role within this television based movie. Well, in no uncertain terms Clint was the 'star player' in my eyes. As he literately turned his usual 'man of the people' persona on its head, and just exhibited one of the most menacing characters I've ever seen him play on screen. Honestly. There were a couple scenes in this flick that I thought he was off his bloody rocker. Spouting rather mannered and stoic phrases that'll make anyone crap their pants as soon as they heard them. 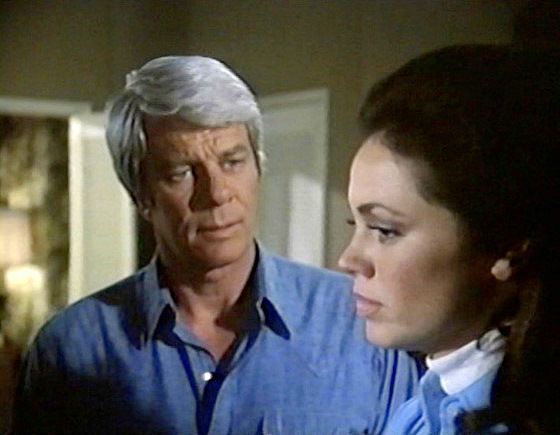 Thankfully Peter Graves was able to hold his own against Mister Walker, and he too did a pretty nifty job of playing the main lead that needed some help with a werewolf dilemma he had to contend with. Oh! And as for this 'werewolf dilemma', well, to be absolutely Frank about it, folks, it was fairly pedestrian I suppose. It wasn't too menacing. Not until the notion came into play that Clint's character might somehow be behind it. But wait up. I best stop myself there before I give away too many spoilers. Here. Check out these filmic-facts instead. (1) The 'American Broadcasting Company' first televised this production on the same day that the supermodel, Kate Moss, was born -- the 16th of January, 1974. 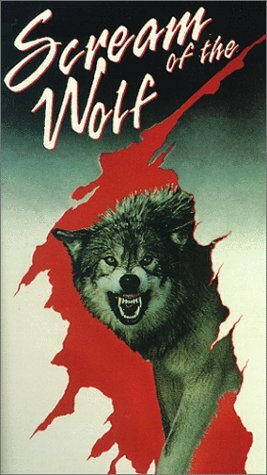 (2) Loosely translated, this project was entitled 'The Cry of the Wolf' in France; 'The Howl of the Wolf' in Italy, and during pre-production, it was given the working-title, 'The Hunter'. (3) This adventure was adapted from a book written by the British based author, David Case. (4) The director of this flick, Dan Curtis, has also directed such television movies as 'The Great Ice Rip-Off', 'The Turn of the Screw', 'Melvin Purvis G-MAN', and 'Bram Stoker's Dracula'. (5) Richard Matheson, who wrote the screenplay for this movie, is best known for creating the horror novel, 'I Am Legend', which has been adapted into movie-form four times in total. (6) Peter Graves is in fact the elder brother of the actor, James Arness, and he once directed him in an episode of the western television series, 'Gunsmoke'. (7) Currently the former actress, Jo Ann Pflug, hosts seminars aimed at motivational pursuits and self development through humor. Here. Check out this link for more information -- www.joannpflug.com (8) After this flick screamed like a loon, Peter Graves and Jo Ann Pflug starred in the TV movie, 'The Underground Man'; whilst Clint Walker starred in another TV movie, 'Killdozer'. Overall I'd say 'Scream of the Wolf' is a very nice seventies film to watch. Everything about it was fairly solid, including the acting, the story, and the general production values. In fact, I think it's such a solid flick; it would be a pretty good idea if someone decided to remake it in the near future.